This year’s Crossfire Xmas Jam will celebrate its 10th Anniversary at BaySixty6 skatepark on Saturday December 15th. Expect a full day of the best skateboarding in the UK to celebrate a decade of bringing the skate scene together in the cold winter months. Guest teams and the full schedule will be announced very soon, but for now, put the date in your dairy and look forward to a seriously fun day out in the capital. 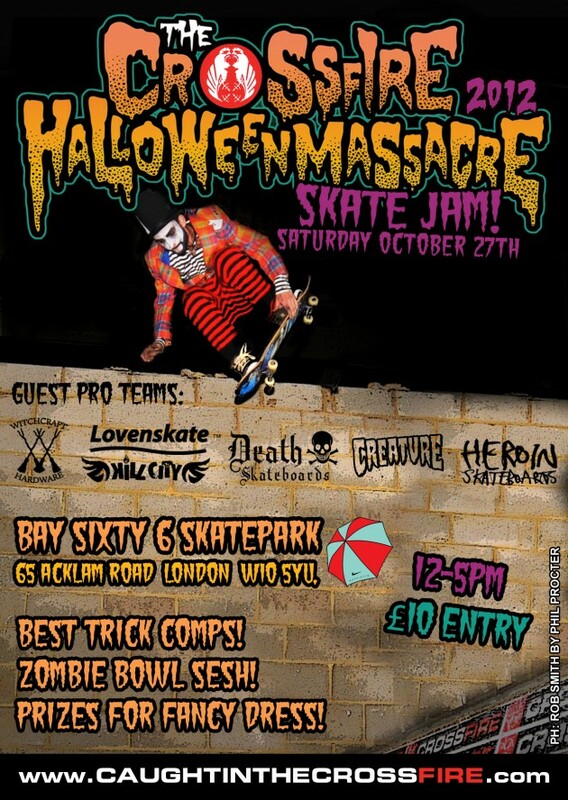 We will see you at the all-new Bay66 for the Crossfire Halloween Massacre on Saturday 27th October which will feature an all day open jam in the new park and a Zombie Bowl Comp- the very first bowl session that the bay will receive since it re-opened. Start planning your outfits and make up. 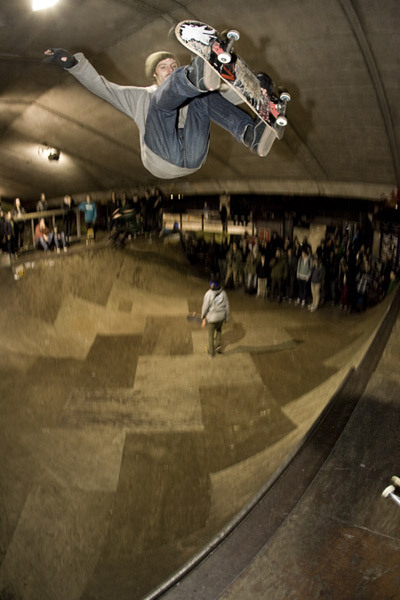 The 9th annual Crossfire Xmas Jam is confirmed to take place on Saturday 10th December at Bay 66 Skatepark in association with Slam City Skates Plan B, Flip and Superdead Skateboards who are providing best trick £comps during the afternoon. Look out for the schedule that will be announced soon. Tickets are £10 for the full day on the door from 12-6pm. The unsponsored jams will kick off at 1pm with Slam City Skates vouchers up for grabs for best tricks. 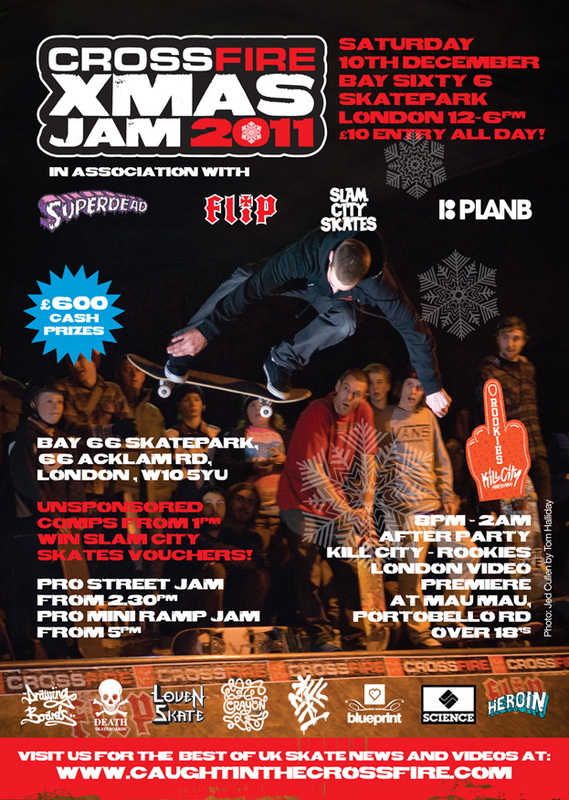 At 2.30pm the pro jam will commence and £600 cash prizes awarded on street and mini ramp. 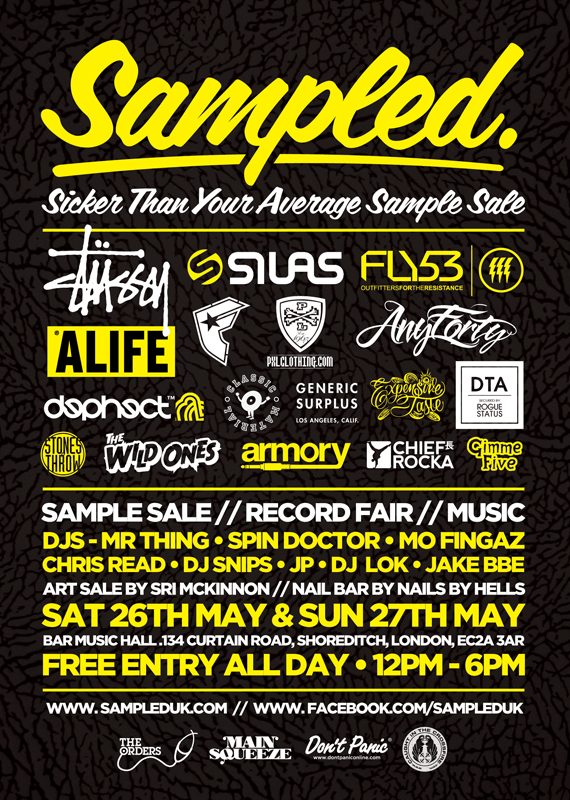 Also, look out for the product toss at the end of the day courtesy of our sponsors Flip, Superdead, Plan B, Heroin, Death, Drawing Boards, Science, Crayon, Kill City, Lovenskate and Blueprint Skateboards. 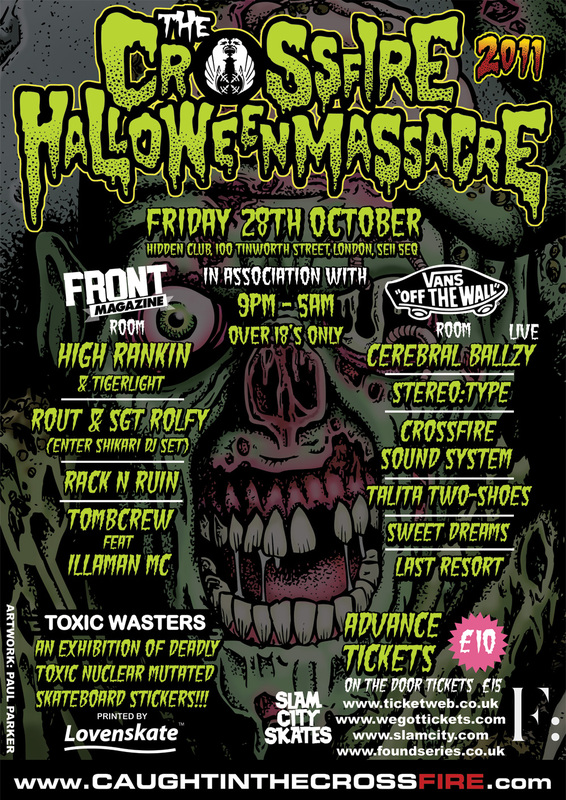 The after party will be held at Mau Mau Bar on Portobello Road with party tunes and a UK skate video premiere of the ROOKIES DVD from Kill City. Get your your travel booked and get ready for some amazing skateboarding as usual. There’s a facebook event page set up, invite your friends and watch last year’s video below. 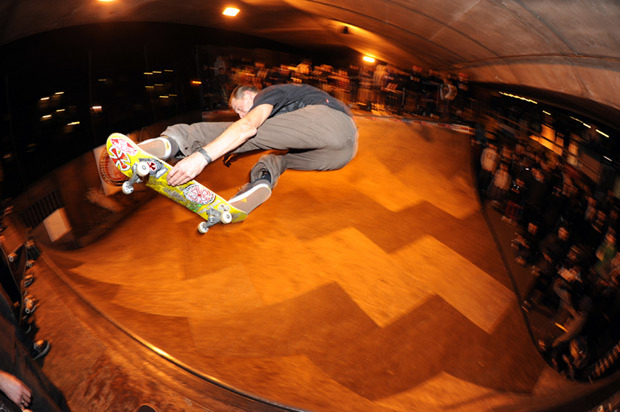 Bay 66 Skatepark can be found between Ladbroke Grove and Westbourne Park Tube Stations at 66-67 Acklam Rd. Map here. 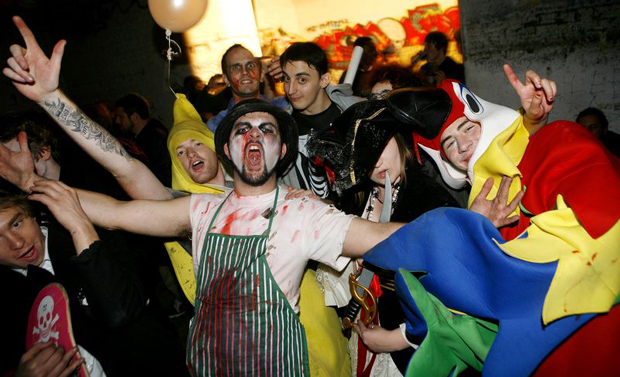 If you need accommodation for the night, the cheapest and nearest place to book can be found at www.hostel639.co.uk. 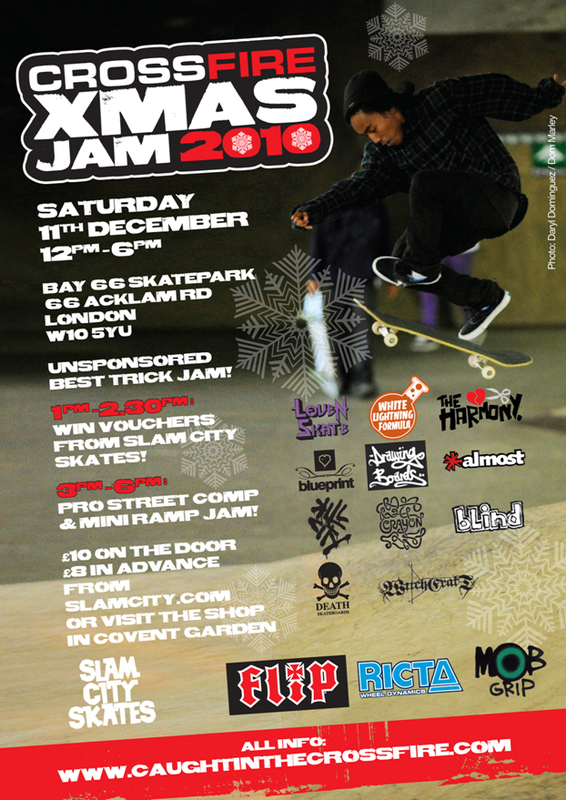 This year’s Crossfire Xmas Jam will take place at Bay Sixty 6 Skatepark in London on Saturday 11th December 2010. 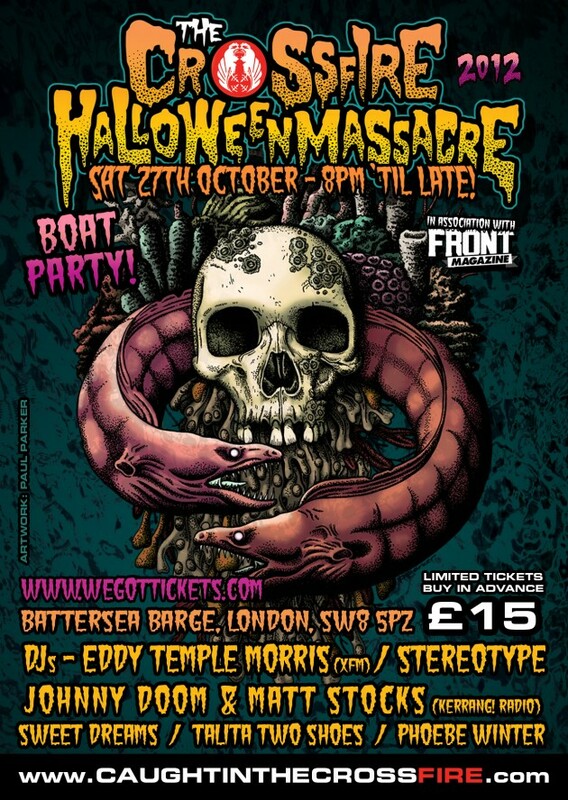 Tickets are £8 in advance from Slam City Skates online at Ticketweb or £10 on the door on the day from midday. The Mini Ramp comp this year is sponsored by Flip Skateboards, Mob Grip and Ricta Wheels. 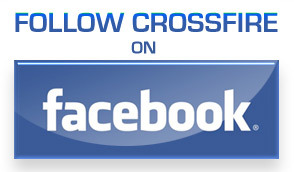 Join our Facebook event page to invite your friends. Start planning your travel and accommodation if you are coming from out of town, the nearest cheap place to stay is Hostel 639 on Harrow Rd just 20 minutes away from the skate park but note you have to book in advance. The pro rider guestlist is the biggest it’s been since we’ve started! Over 100 skateboarders from the aforementioned teams are going be tearing it up on the day so get hyped. There is no official after party, but we will all be heading to Mau Mau’s for boozing and vibesing. Over 18s, come along and celebrate 2010 with us. Click here for last year’s jam feature. 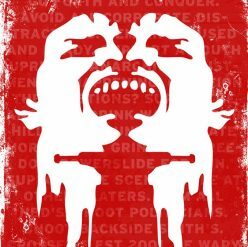 Posted on November 19, 2010 December 15, 2010 Author ZacCategories Crossfire Events, Home, Skateboarding, Skateboarding Events, Skateboarding NewsTags blueprint skateboards, crossfire, crossfire xmas jam, Crossfire Xmas Jam 2010, death skateboards, flip skateboards, mini ramp comp, pro skateboarders, skate videos, skateboard event, street skating, xmas skate jam4 Comments on Crossfire Xmas Jam 2010! 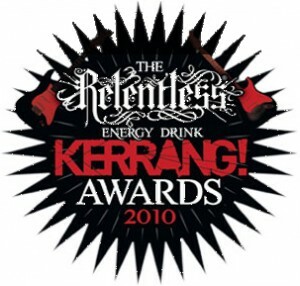 The CROSSFIRE SOUND SYSTEM featuring Zac Slack and James Sherry have been invited to headline DJ at this year’s Kerrang! Awards in London which will be held in a secret location. On the eve of 29th July we will be playing a mix of rock, punk and metal from midnight until 3am so if you have an invite we will see you there!